Wow what a busy week we’ve had. Looking back at it, I can’t believe how much we’ve done. I think we are all a little tired from it, but it was so worth it. We took a last minute trip to Savernake Forest on Sunday. It was a day of mixed weather and we just wanted some fresh air and to wander about. I just love these random trips, they usually end up being some of the best. I had a late night trip on my own to Ikea and it was really nice. I could actually stop and look at things for more than 20 seconds. I of course came home with a bag of stuff that I didn’t go for, but just had to have! On Holly’s birthday we took the girls to Peppa Pig World, it was our third trip, but most definitely the best one yet. Holly just loved it, she was more into it this year and her little face just lit up. 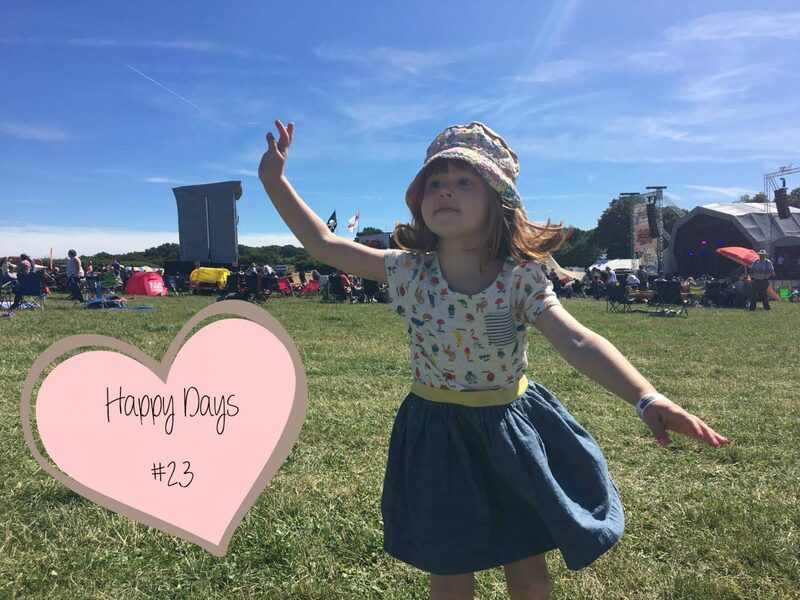 Alice has always loved it and said it was the best day ever! I went for a massage at The Massage Company and afterwards I met the lovely Donna for lunch. It was really nice to see her again and chat with no children interrupting us. Yesterday we went to Carfest as guests of Peugeot, it was our first time to a festival as a family. We had a lovely day, the sun shone and there was so much to do for the girls. I also got to meet Louise and her family, who are all just as lovely as I thought they would be. Yay, its the bank holiday weekend! With Andy off yesterday it felt like the weekend has already started. We have shopping trips, ice cream trips and we are finishing the Bank Holiday with a trip to the Harry Potter Studio, so excited! I hope you all have a good one too. I don’t think I’d be safe let loose in IKEA on my own! Going for a massage sounds like bliss, must add that to my to do list.